Everyone knows that housing in Hawaii is expensive. In fact, when compared to other U.S. states, Hawaii’s average rent is the highest. But rents vary greatly throughout the state, depending on the island, city/town, and neighborhood. 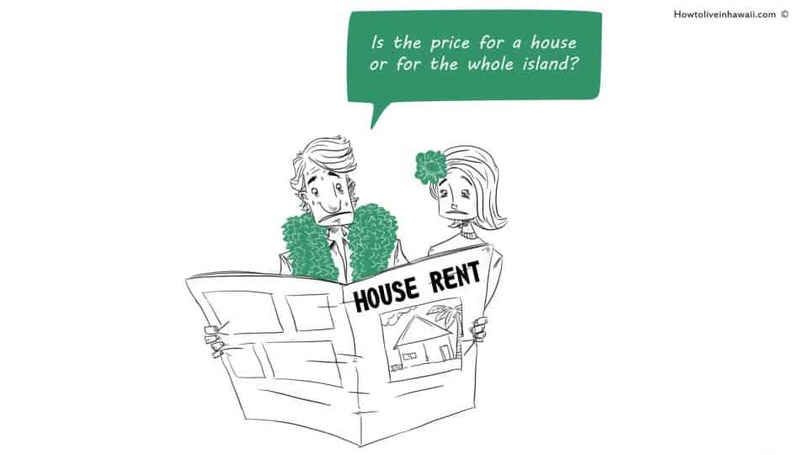 So which areas of Hawaii have the least expensive rents? And perhaps more importantly, why are they less expensive than other areas? To find out, I used Aloha Living’s Neighborhood Navigator tool to compare Fair Market Rents throughout Hawaii by ZIP code. Fair Market Rent includes not only the shelter, but also all utilities the tenant must pay (except for phone, cable/satellite TV, and Internet service). These Fair Market Rent statistics were supplied by the U.S. Department of Housing and Urban Development. Below are what I found to be the most affordable neighborhoods in Hawaii, starting with the island of Oahu. (The other islands will be addressed in my next posts). Why it’s less expensive: Long commute to Honolulu. Why you should still consider it: Easy driving distance to North Shore beaches. Why you should still consider it: Located in the “country,” right by several beaches. Why you should still consider it: Located in the “country,” home to Brigham Young University Hawaii and the Polynesian Cultural Center. Why you should still consider it: Strong high school athletic and academic programs. Home to the famous Giovanni’s Shrimp Truck. Why it’s less expensive: Long commute to Honolulu. Has a reputation for being unfriendly to haoles (particularly young haole men). Why it’s less expensive: Aircraft noise and air pollution from the nearby Air Force Base and Honolulu Airport. Why you should still consider it: Much shorter commute to downtown Honolulu than the places listed above. Close to amenities in nearby Salt Lake District. Why it’s less expensive: Very dense, multifamily housing. Some buildings are run-down. Heavy street traffic. Why you should still consider it: Within walking and biking distance of Waikiki, Ala Moana, and downtown. Easy access to public bus routes. Coming up in my next post: The most affordable neighborhoods on the Big Island.